Home > 2011 > 02 > 12 > openSUSE Weekly News 162 is out! openSUSE Weekly News 162 is out! We are pleased to announce the openSUSE Weekly News #162. We are pleased to announce our 163 issue of the openSUSE Weekly News. menus present on the gnome-panel and unity-panel. Free and OpenSource 3D modelling tool. Better suited to smaller 3d projects than blender. NB: too late for 11.4, to be seen for next (12?) one. integrated too, we will remove automatically start of CUPS from script. better to have a stable software than the bleeding edge ones. and for sending raw commands to the floppy controller. Service LibreOffice:Stable project. They are based on the libreoffice-3.3.0.4 release. Please, look for more details about the openSUSE LibreOffice build on the wiki page. to fix them in the future releases. that it will help all people to get faster what they want. We are already working on LO-3.3.1 bugfix release. release should be available within 2 weeks. The next Testing Core Team IRC meeting will be held February 14, 2011 at 18:00 UTC. This meeting will discuss the Team’s experiences with openSUSE 11.4 RC1. job, there would be considerable security. VB VM of the KDE desktop from the i586 NET install CD. Everything went well. organizing work in a cross-distro way. being done to have it running on other rpm-based distributions. Jos had a very important slide in his talk which echoed my own believe: NO CONVERSION! Murphyâ€™s law in mind: What can go wrong will go wrong!]. We also had a chance to talk about Operational Transformation (OT) in the context of ODF. operations you need |OPS x OPS| transformations. So keeping |OPS| small is quite important! 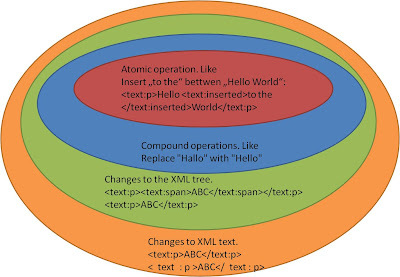 tree or the XML text. In fact I think it does more harm than good. my mates on the FOSDEM organization team. pretty happy it is, I’m sure you can understand why :). by FOSDEM a bit more to use more and larger rooms). But more about that in a few months’ time. FOSDEM provide what must be the best possible wifi infrastructure at an event of such size. keynotes. That was impressive, to say the least. have to keep running around all over the venue to get things done. hope to still be in the future. sweat and blood into doing such great things. infrastructure, and, of course, to the people who attended. On a side note, if you were at FOSDEM 2011, please take a minute to fill out our census as well as our feedback form. months, the ALSA project has published a new version. hardware, which provides much better support for the latest version of Radeon graphics chips. does not support UMS (user mode-setting) on these chips. part of the series â€œComing in 2.6.38â€. what the submitter wanted to do. been even run through our automatic “test this patch for sanity” tools. as it may introduce some new Linux commands to improve your Linux command line efficiency. this will be useful to someone, also if anyone wants to offer a better way Iâ€™m all ears :) . “A quick note for the week-end, Iâ€™ve build and uploaded the new fglrx drivers. product; where is it going now? In the first half of 2009 the Preload department at Novell was building a team in Taiwan. team is very important to companies in Taiwan. important both internally and externally in support of this. building a great community around the project. in fact Novell is happy to help any component vendor this way). culture you have and want to have in the organization. and spurred me on when I felt like the whole world was conspiring against me. going to let it drift away – just like netbooks themselves have. things in for the F15 release. Either way I wish all involved luck. UX’s that they are developing. So it’s time for me to close off and say, so long and thanks for all the fish! which I intend to kick off (stay tuned ;-) ). Many of us today have larger monitors with higher resolutions, than we used to have. This thread is started by a member that has a full HD resolution monitor, yet he cannot seem to find a proper resolution setting to make GRUB look good on new large widescreen monitor. Read and see if it all can be done. Maybe we should see this more often, it’s an example of how the community can contribute to the development of the distro. Through openSUSE’s openFATE a feature request is done to improve certain aspects of the package- and repositorymanagement. Now support for the request is asked in the forums. By voting for the feature request, users can support this. 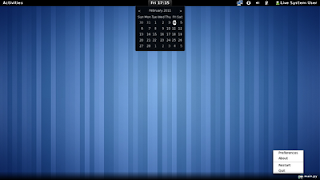 Recently KDE released KDE4 4.6.0, this thread announces the creation of a repository for this KDE version, like at the time of release of KDE4 4.5.0 a Release:45 repo has been created. The repo will follow the KDE4 monthly releases. In short: not bleeding edge, just updated released stable packages. For those users, who want to keep their desktop environment up-to-date, yet don’t want to use the Factory, let alone the UNSTABLE repos. The word “muldimedia” covers a lot, and so does this forum. To start, you’ll find Multimedia in one click, but there’s more. About installing codecs (covered in mentioned sticky post), about using HDMI output on various videocards, about sound issues and so on and so on. Short instructions, as well as long threads to help out members with multimedia related trouble. Enterprise Server subscriptions sold through HP and authorized resellers for a limited time. women’s participation in open technology and culture. Welcome to Camp KDE 2011! experiences. The event will feature in-depth talks by core KDE developers. Usually, when I review desktop environments, I review KDE, specifically version 4. Why? will no longer be ‘2’. beforehand both to get accustomed to it as well as to find and report lingering bugs. UnetBootin, I decided to just try out the Fedora version on a live USB through UnetBootin. Follow the jump to see how it goes. a whole lot since GNOME 2.30, though for some reason the GTK+ theming looked really ugly. that demonstrates considerable good will, according to one analyst. weeks ago and this marks a very important milestone in the Open Source Office environment. and the Open Office project. They went on to form the Document Foundation. Photoshop without the hefty price tag. It is available on Mac, Windows, and Linux. problems. I have been using it for about a year in school. Personally, I am in love with it. not appreciating the printer becoming available at the wrong time. most of the screenshots contained herein were taken from the KDE release announcement. Thanks to KDE for making these pics available for re-use. what, it has raised a lot of questions in the Qt community. to Qt enabled devices or entirely new to Nokia. again and Qt can play an important role in making sure it isnâ€™t. innovation to increase even further as the community grows. used more than ever before. « openSUSE Weekly News, Issue 161 is out!